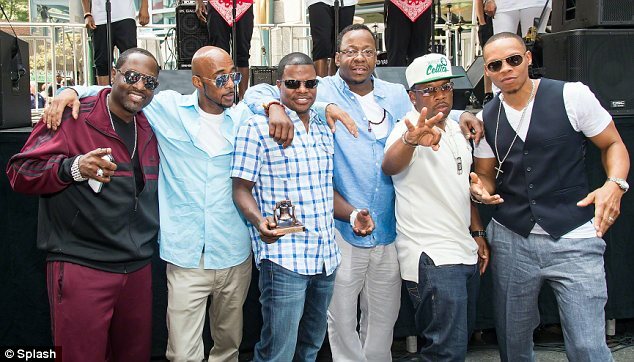 Looks like congrats are in order for New Edition, not only will their biopic be coming out next year, but they will also be presented with a star on the Hollywood Walk of Fame as well in 2017. Ice Cube and John Legend will also be honored with a star on the Hollywood Walk of Fame. How dope is that, all of those artist definitely deserve the recognition. All of them have been in the game a very long time and they are all talented in their own rights. There are also more talented stars who be receiving their own star on the Hollywood Walk of Fame. Tyra Banks, Lee Daniels, Eva Longoria, Dwayne "The Rock" Johnson, and Sarah Silverman will also be receiving a star at this event. The Hollywood Chamber of Commerce announced the honorees, however, they did not announce a specific date for the event. I guess we will just have to stay tuned!